As every year the FLIA (Fruit Logistic Innovation Award) will be designated by the vote of the visitors of the show. You can vote until Thursday 7th at 6 pm, the awards ceremony will be held on Friday, February 8 at 2.30 pm. 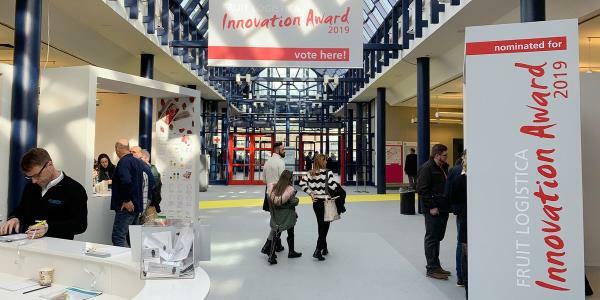 The visitors of the show choose the best innovation of the year among the proposals selected by a jury and exhibited between Halls 20/21 where voting takes place the first 2 days of the show. A draw will be held among the valid votes and 5 Apple Watches are up for grabs. You can vote in the area between Halls 20 and 21.